It's like Spring Break II out here. 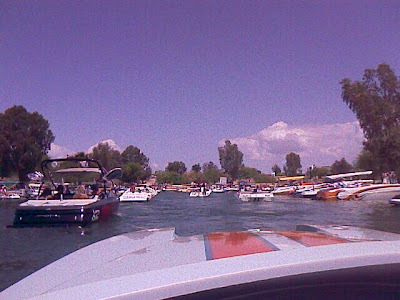 We're out on Lake Havasu pretty early but even at this time, there's not a single slip in the channel to beach up on. I'm just glad it's sunny with not a whisper of wind in the air.